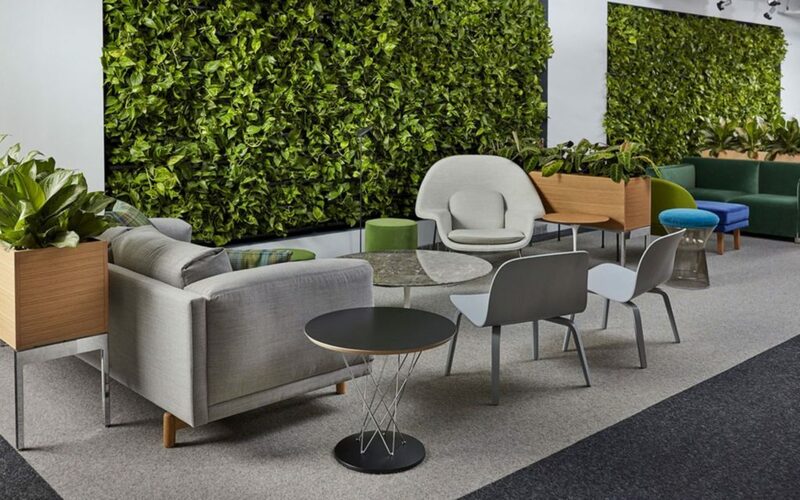 The entire commercial design industry descends upon Chicago each summer to see the latest and greatest in workplace solutions and discover what trends are going to define design for the next year. NeoCon, the 50-year-old mega-conference often acts as the place to see and be seen within the industry. Each year, the RJE crew road trips up to the city for a jam-packed day of checking out what’s new and mingling with our industry contacts. 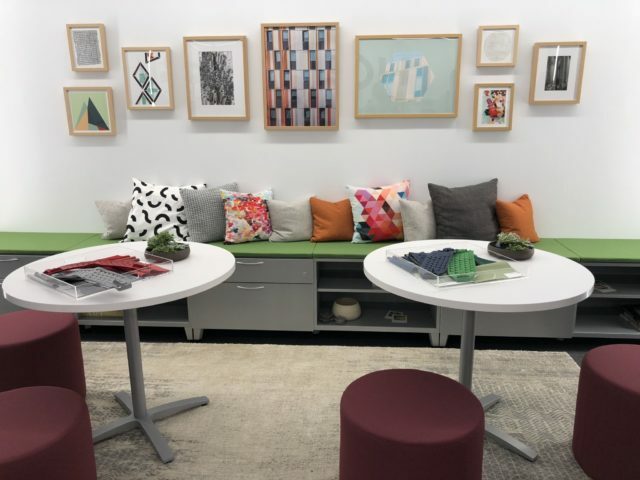 This year, we tasked some of our Indy design team members to find their favorite items from NeoCon and share how they’d use them in a space. Check out the list below to see if your favorites made the cut! We’d be remiss if we didn’t share the team’s top overall pick, which was the hospitality theme at the Knoll showroom. Knoll’s 2018 theme was Hospitality at Work and centered on highly-flexible environments that had soft and welcoming touch points. They also heavily featured the newest member of the Knoll brand constellation, Muuto — a Scandinavian company that offers the minimalistic, resi-mercial feel that is dominating the industry. We loved the blended feel of all the spaces, which expertly mixed both high-design pieces and more accessible pieces throughout. 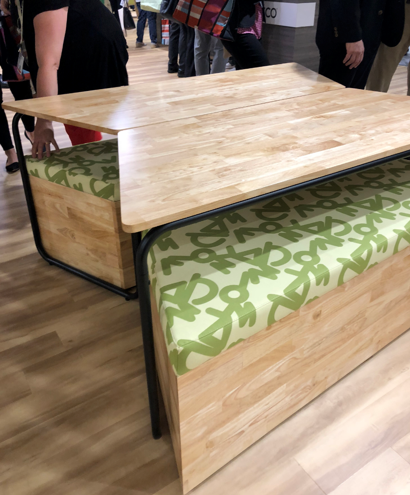 I chose the Safco Connect Series as my favorite collection from Neocon this year. 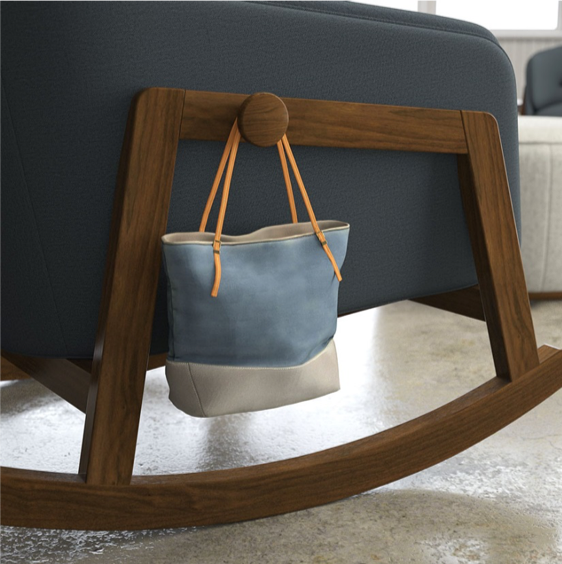 The collection includes flexible lounge seating with warm wood detail and wrapped fabric that is hollow in the center — perfect for storage of personal items! It also pairs perfectly with the tables in the line that nestle out of the way. 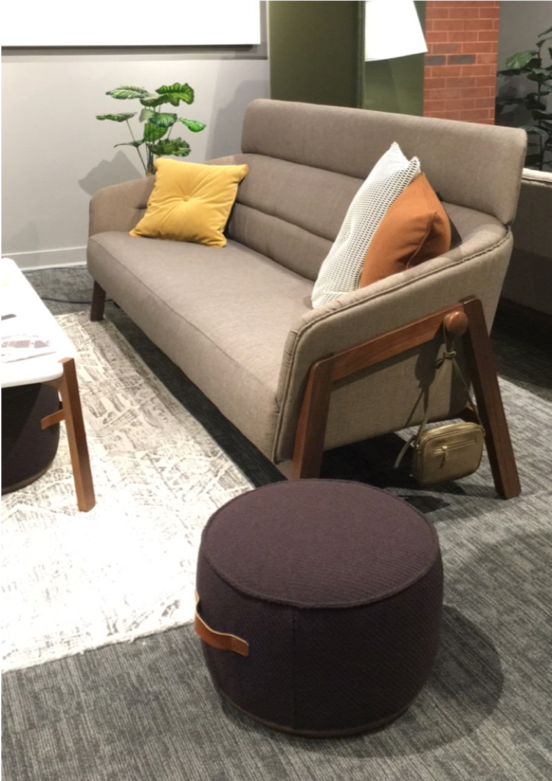 Thanks to our incredible designers for sharing what inspired them at NeoCon! What did you love the most? Head to our Facebook or Instagram to let us know.